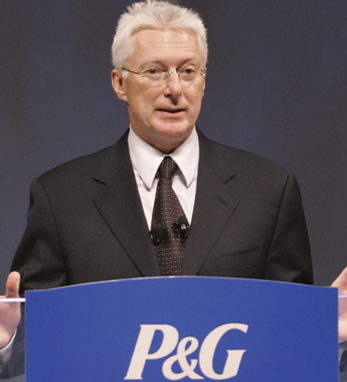 As the Chairman, President and CEO of Procter and Gamble, A.G. Lafley oversees the largest consumer company in the world. Under his leadership sales have grown from 40 billion to over 68 billion. A.G. received a B.A. degree from Hamilton College in 1969 and an M.B.A. from Harvard University in 1977, at which time he joined Procter and Gamble. He is also a director of General Electric Company, and Dell, Inc. He serves on the Board of Trustees at Hamilton College and is a member of the Lauder Institute Board of Governors, the Business Roundtable and the Business Council. Chief Executive magazine named him “CEO of the Year,” for 2006. A.G., who was Irish America’s Keynote Speaker for its 2005 Business 100 Awards Luncheon in New York City, is a second-generation Irish American who traces his roots to County Cork. He cites the influence of his Irish grandmother, Catherine “Kitty” Irwin, as of huge importance during his childhood in Keene, New Hampshire. A.G. lives in Cincinnati with his wife, Margaret.